It's been a little while since I have posted or even crafted. This is a quick card I put together last night and it was nice to play in the craft room a little. 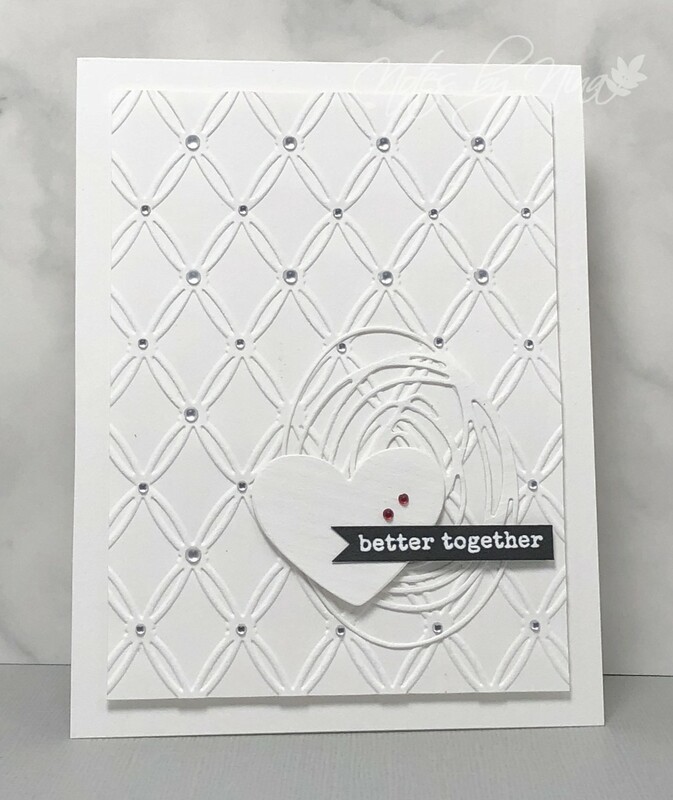 I used a white card base then I used an embossing folder on the smaller panel. The panel is popped up with foam tape. I die cut the heart and paper swirl then added some foam tape to the heart. I heat embossed the sentiment then finished the card with some gems. 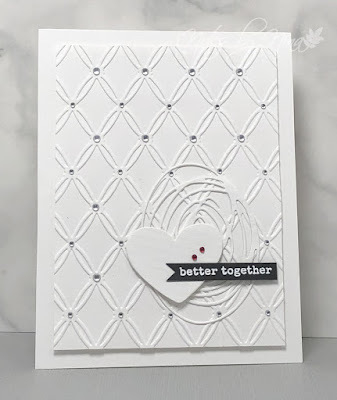 Supplies: White and black cardstock, misc embossing folder, Carta Bella - Let Love Bloom, Sizziz die cuts, gems.